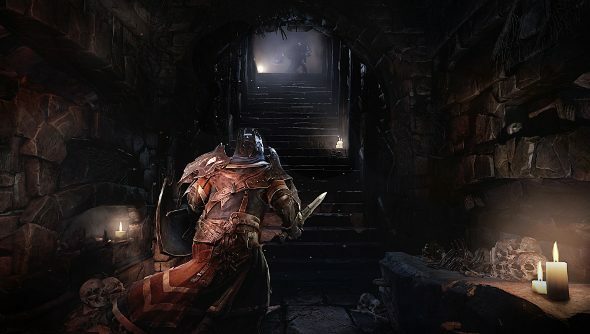 Lord of the Fallen previews have been popping up lately, including our own, where Jules called it a “ferocious and frustrating Dark Souls clone”. And he’s not the only one who has been having a few problems with it. In response to problems faced by streamers and previewers, as well as questions in comments and Twitch chat, developer Deck13 has put together a video breaking down the core mechanics of the game. At almost 17 minutes long, the video is quite long, and implies that there needs to be greater clarity in the game itself, if it needs such a long winded explanation on YouTube. That said, it’s a well meaning response. It wasn’t bitter or defensive – it was merely a video that filled in some potential knowledge gaps, even if they maybe shouldn’t have been there in the first place. Our Jules had a few criticisms of his own, which weren’t addressed in the video. “First, there are crippling issues with the game’s camera. The first section of Lords of the Fallen throws you into a mountaintop monastery that’s overrun with demons. The building’s all tight tunnels, staircases, and pillars and all too frequently the camera gets in the way. To be killed by an enemy you couldn’t see because the camera was trapped too close behind your thick body is just infuriating. The camera problems might not be constant but they happen enough to be worth mentioning. He also got a bit miffed when he was unable to find any weapons that fit his agile, roguish character. While the video showed off a few swift weapons, only massive weapons dropped during the two hours Jules played for, suggesting a potentially iffy loot drop system. Lords of the Fallen is due out next week.